Last Tuesday (April 13th) we had another DIWUG evening. This one was sponsored by and hosted at VX Company in Baarn. We started out with a nice dinner with fancy sandwiches and a great sateh. 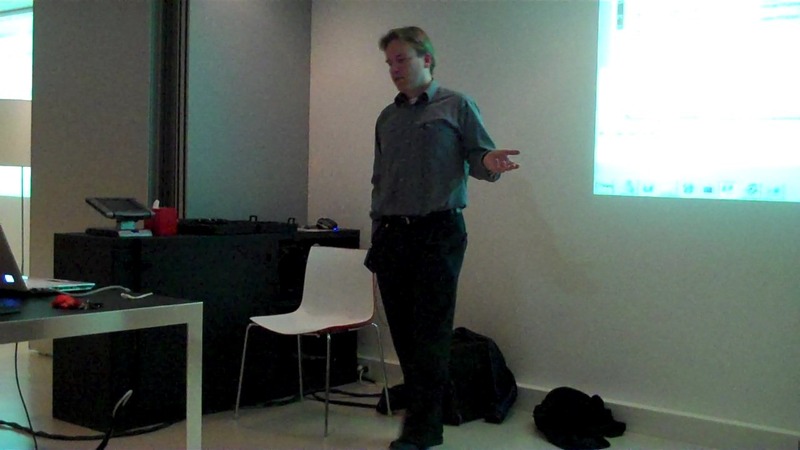 After that Immanuel Kranendonk introduced us to VX Company and announced a business card draw to win one of five “Microsoft SharePoint 2010: Building Solutions for SharePoint 2010” books. After that I had the honour of presenting the first session on “Using SharePoint search to develop custom solutions” myself. I talked about extending the out of the box web part by inheriting from the public out-of-the-box web parts, using the Federation Object Model and the SharedQueryManager. I showed a demo where I customized both the select statement and the way the results were displayed for a query on a SQL database that was crawled by the SharePoint search using the Business Connectivity Services. After that we dived into a completely custom search solution: the birthday web part. 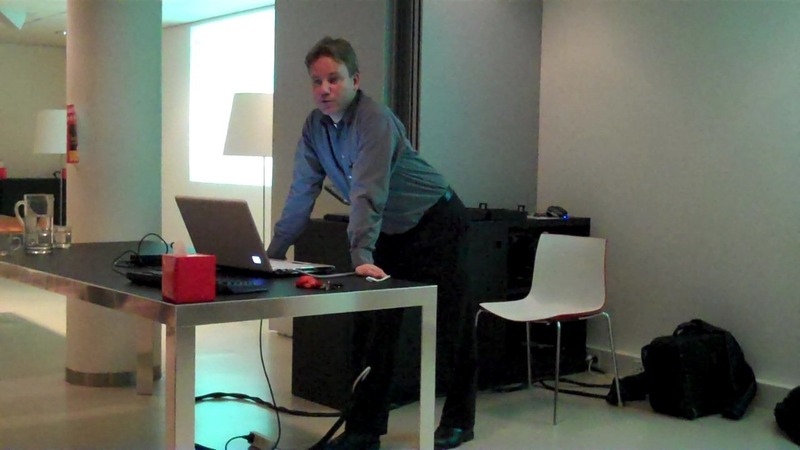 I talked about the query and administration object models and about the FullTextSqlQuery class. The slides from this presentation can be downloaded here. 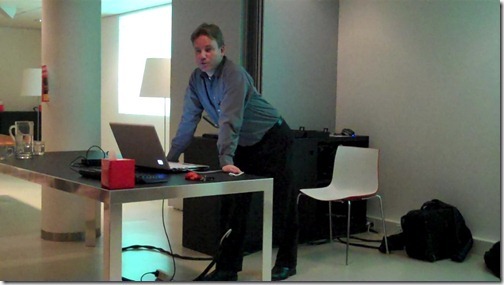 The second presentation from Roel Hans Bethlehem was on PowerShell. PowerShell is the new shell language that can be used to manage all Microsoft server products. With the release of SharePoint 2010, SharePoint is the next Microsoft server product that includes support for PowerShell. The PowerShell cmdlets for SharePoint can be used to manage every aspect of SharePoint, as the PowerShell cmdlets expose a superset of the Central Administration options. 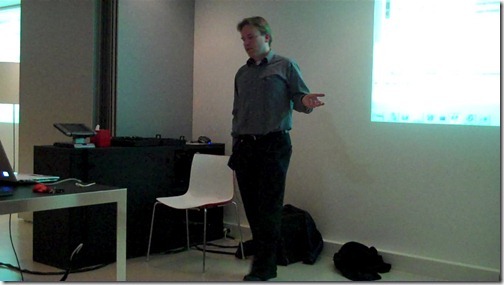 Roel Hans started out by explaining why in when PowerShell should/could be used with SharePoint 2010. He also talked about two different PowerShell Editors, the PowerShell Integrated Scripting Environment that is a feature of Windows Server 2008 R2 and Quest’s PowerGui. After that he showed a lot of examples and explained and dissected them. The slides for this great intro into PowerShell can be found here. After the presentation Immanuel gave away the books and announced the SharePint sponsored by VX Company in the next room. 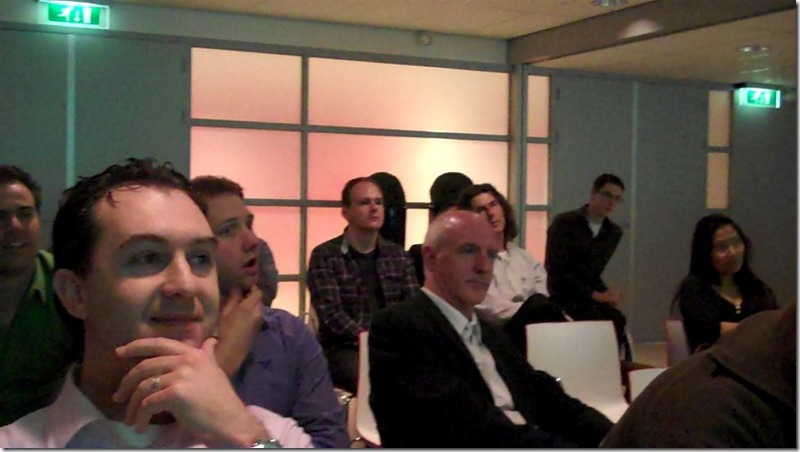 It was another very successful DIWUG evening. Of course we would like to thanks VX Company for sponsoring and Roel Hans Bethlehem for presenting. And all the attendees for showing up, because without them a DIWUG evening would be no fun at all!